Editor’s Note: Find the first installment of Dawn’s guest posts on query letters here! 1. DO offer to share your manuscript and other materials. DON’T provide these materials along with the query letter, unless otherwise specified by the submission guidelines. 2. DO follow the agent’s representative categories. DON’T blatantly state that you acknowledge the book being queried is outside the agent’s/editor’s categories. Ex: I would be a rich woman if I received a penny every time someone wrote “I know that you don’t represent books within <insert category that I don’t represent>, but I thought you’d make an exception with my idea.” Note, this never works. Ever. 3. DO address the query letter to the agent or editor by name. DON’T address the letter to Dear Agent, Dear Literary Expert, Dear Book Expert, Dear Literary Professional, Dear Editor, Dear Publisher, or To Whom It May Concern. There’s a good chance that if you found the name of the agency, you know the name of the person being queried. 4. DO invest the time in building a good writing platform. DON’T rush into the process without having developed a strong and extensive network of fellow writers, as well as an audience. It looks much better if a writer has a built-in readership. 5. DO take the time have your work critiqued and in its best form before approaching agents/editors. DON’T share your work if it hasn’t been edited and combed through multiple times. Is your book the best it can be? If not, take the time and prepare accordingly. When preparing to query editors and agents, it’s to everyone’s benefit to slow down. Take the time to understand the business of publishing, while also adhering to the general guidelines that individual publishers and agents request during the submission process. Rushing into the query process can result in a flurry of rejection letters, frustration, and wasted time. Being strategic, methodical, and thoughtful when approaching agents and editors is to a writer’s advantage. Considering going the route of the Tortoise; taking the process one-step-at-a-time, with the possibility of mistakes decreasing and a better result in the end. Are there any other DOs and DON’Ts I missed? Have you fallen into the trap of any of these DON’Ts? Dawn Frederick is the owner and literary agent of Red Sofa Literary, based in the Twin Cities. 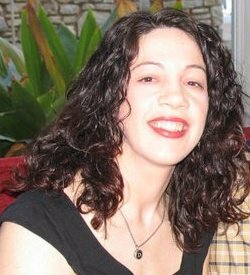 Previously an agent with Sebastian Literary Agency, Dawn brings a broad knowledge of the book business to the table, with multiple years of experience as a bookseller in the independent, chain, and specialty stores. Red Sofa Literary was listed as one the 101 Best Websites for Writers in 2012 and 2013. Additionally, Dawn is also a co-founder of the MN Publishing Tweet Up, a networking group composed of writers and publishers, now completing its second year of bringing publishers and writers together over happy hours and at special bookstore events.